The “capital of the new South”, is home to more than 150,000 businesses and some of the world’s biggest companies like Coca Cola, UPS, and Home Depot. Atlanta is also where you will find TTR Data Recovery – Georgia, in case you need word class data recovery services provider. Impeccable Data Recovery Services For the State Of Georgia! About 954,000 data recovered, TTR Data Recovery have been salvaging data since 2006. We take pride in our relevant certifications that attest to our commitment to excellence. We are ISO 9001:2008 which means that we met the highest standards for quality control, security and privacy, customer service, business stability, and transparency. View our full list of certification What it means to our customers? We handle their needs with utmost care and professionalism. In the Peach State, most people take life in stride, but that doesn’t mean they don’t need help from time to time. Maybe your RAID array died, or perhaps your hard drive became corrupted. No matter what kind of data issue you’re facing, we have the facilities, technical experience and certified skills to help your data recovery go as smoothly as possible. Life is good in Georgia, and with our help, you can keep it that way. 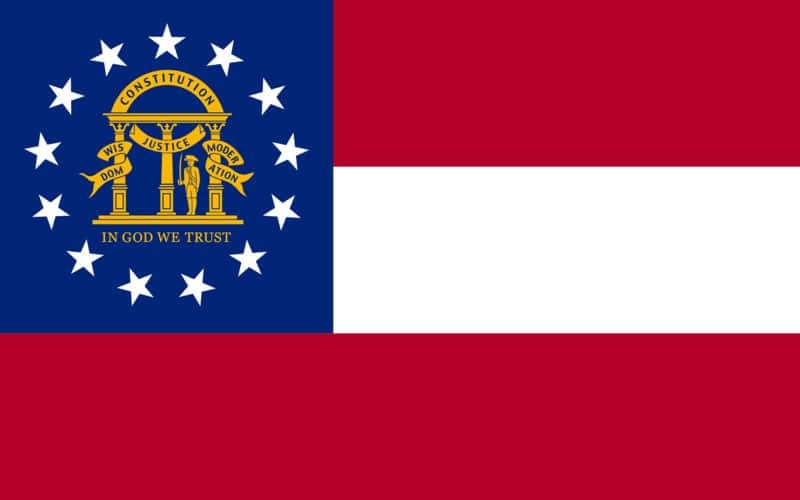 Georgia has an estimated 10.66 million population, making it the 8th most populated state in America. Our presence in Atlanta ensures that Georgians get top-notch service from the trusted leader in hard drive and ssd data recovery service. Aside from dropping off your media at our office, you also have the option to request prepaid labels and let our trusted partners take care of shipping your device. You can also request a pick-up and we’ll come pick-up your media at your convenience. A Solid State Drive or SSD, is a storage media that can store data using solid-state flash memory. Unlike the hard disk drive (HDD), an SSD has no moving parts that can make it susceptible to malfunction due to mechanical breakdown. The lack of mechanical parts also allows SSD to read and write data at a much faster rate. Yet, this does not make SSD immune from damage and data loss. While an SSD does not have any moving component, it uses flash memory chips that can get damaged by power fluctuations, power failures, or improper shutdown. Also, one NAND flash chip failure can render your data inaccessible and can cause other NAND flash chips to fail as well. TTR Data Recovery can help you retrieve your lost data from your SSD, Hard Disk Drive, Tape, RAID, flash media. We also offer data recovery service for Mac and other Apple device. Our data recovery services is simple and fast. After submitting your data recovery case to us online, we will send you a request form in your email which will contain packaging instructions to ship your media safely, or you may simply drop it off at our office. You don’t pay until you verify and confirm the recovered data. You don’t even have to pay for failed hard drive recovery service attempts. Why TTR Data Recovery in GA? Your free diagnostic should arrive within 24-48 business hours. Upon your approval, we will initiate the recovery process in our ISO Class 100 Cleanroom. We will send you the list of recovered files for your review and confirmation. If you are not satisfied with the outcome, we will send you back your media, free of charge. Once you approve the list, the finalized data will be transferred to a device of your choice. When you’re staring at a failed data device, it doesn’t matter whether it’s a tape drive or modern RAID array: Few things feel worse than knowing that your information is just out of reach. Fortunately, TTR Data Recovery is here to serve the 10 million Georgians who need their data to be accessible at a moment’s notice. Find out how to get your hard drives, SSDs or other devices back in working order or recover their contents by contacting one of our locations near you.